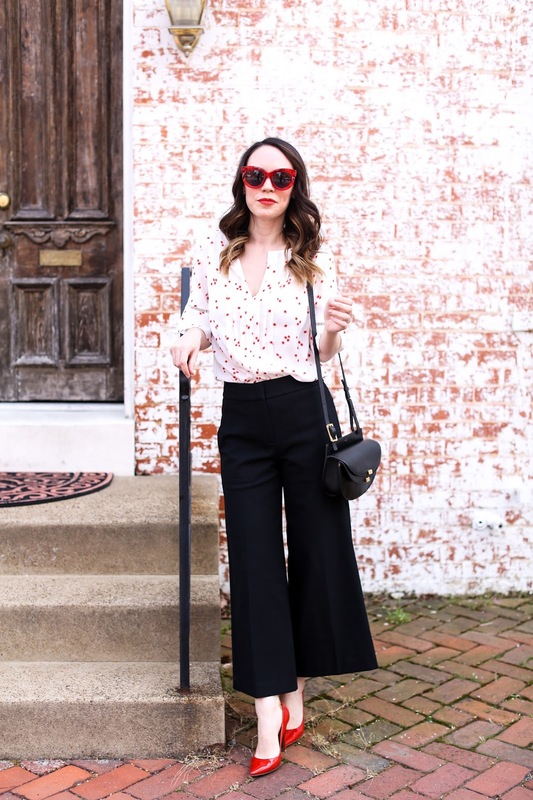 Sunglasses are by far my most worn item on the blog, other than hats of course. #foreverahatlover I thought I would highlight my favorite pairs all in one post. While some I've been wearing for years, others are newer discoveries. Cat eye styles tend to look the best on my face shape, followed closely by a more oversized slightly round style. I'm drawn to tortoise shell the most because I love how they are dark and neutral but not as bold as black. I have a few black pairs of sunglasses, but find they can look a bit too intense for some outfits - hence why I always have a pair of tortoise shell nearby. Free People is my favorite site for brightly colored sunglasses since they have fun shapes and bold colors at super affordable prices. I recently have fallen in love with Le Specs after buying these cat eye stunners, and while Quay is another great mid-priced brand that has great styles, many of them (other than this fun boho pair) don't work for me. I'm currently on the hunt for a new pair of sunglasses for fall, but I think I may need to go into a department store and try them on rather than opting for my ol' standby of ordering them online. I rounded up some of the ones that I am contemplating for my next pair in the widget below. What are your favorite sunglass styles and brands? I'm always looking for new recommendations! Thanks! It's hard to find good ones online sometimes!